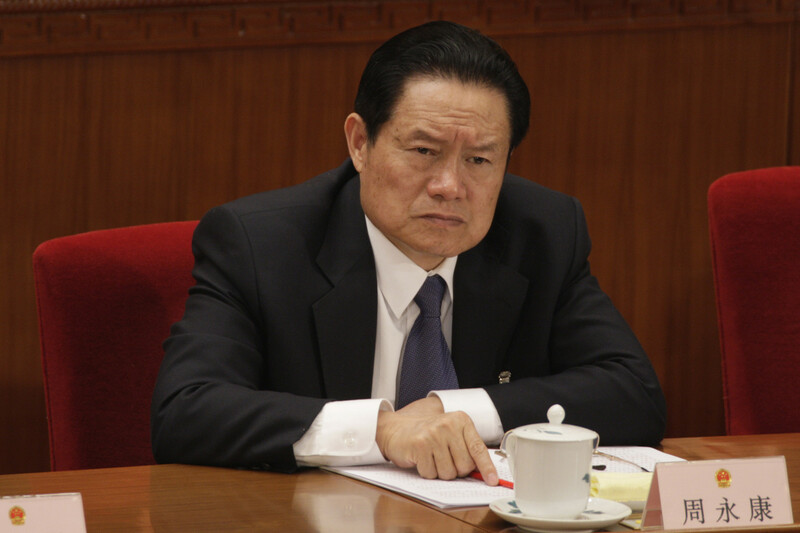 File Photo: Zhou Yongkang, former member of the Standing Committee of the Political Bureau of the Chinese Communist Party (CCP) Central Committee. (TibetanReview.net, Apr04, 2015) – China has formally charged with bribery, abuse of power and intentional disclosure of state secrets a man who was only two years ago one of its most powerful leaders. Zhou Yongkang, China’s former public security chief and a Politburo Standing Committee member, was indicted on Apr 3 by the Tianjin Municipal People’s Procuratorate No. 1 branch to the Tianjin Municipal No. 1 Intermediate People’s Court, reported China’s official Xinhua news agency Apr 3. Zhou is the highest-ranking official investigated in the fight against corruption since 1978, when China’s reform and opening-up was launched, noted China’s official chinadaily.com.cn Apr 3. As the minister for public security he commanded a budget higher than that for national defence for four years in a row. Zhou was placed under investigation in Jul 2014 for suspected serious disciplinary violations by the party’s Central Commission for Discipline Inspection. And in Dec 2014, he was arrested, expelled from the Party, and placed under investigation by the country’s prosecuting department. Zhou had worked in the state owned oil industry from 1967 to 1998 and became general manager of China National Petroleum Corporation in 1996. From 2007 to 2013, he was secretary of the Commission for Political and Legal Affairs of the CPC Central Committee, the country’s top security and judicial agency. Before that, he served as minister of public security from 2002 to 2007 and as Party secretary of Sichuan province from 1999 to 2002, where he established a reputation as a hardliner, including against the banned Falun Gong spiritual movement and the ethnic Tibetan population. While Zhou was no doubt corrupt and guilty of abusing his power like any other Chinese leader, experts see his prosecution as one driven more by internal politics within the factionalised ruling party, noted an AFP report Apr 3. Four of Zhou’s top allies were expelled from the Communist Party in Oct 2014, among at least 13 officials connected to him who are under investigation, the report said, citing announcements in official Chinese media. It also cited overseas reports as saying more than 20 Zhou proteges were currently in detention.